WHAT Tour of Herman Miller Archives, desserts and beverages. 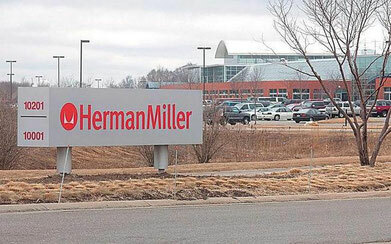 WHERE Herman Miller Archives, 10001 Adams St. WHEN 7-9 p.m., Thursday, Nov. 12. COST $25 for Zeeland Historical Society members, $35 for nonmembers. The Herman Miller Archives, which document the history of the 110-year-old company, have always been available to view on private, by-appointment tours, but there’s never been a major public event showcasing the archives. Now, for their annual fundraiser, the Zeeland Historical Society is offering the chance for the public to get up-close and personal with the vast collection. The archives contain a wide variety of materials including administrative records, correspondence, publications, advertisements, material and textile samples, design drawings and a small furniture collection. Examples of all of this material will be on display during the event. “Design enthusiasts really enjoy coming through this space, as we have material from all of the greats: Gilbert Rohde, George Nelson, Charles and Ray Eames and Alexander Girard,” Auscherman said. The event is from 7-9 p.m. on Thursday, Nov. 12, at 10201 Adams St. Tickets are $25 for Zeeland Historical Society members and $35 for nonmembers. In addition to the archive tours, there will also be desserts and beverages available. Advanced reservation is required and it is open to 100 people. As of Thursday, Nov. 5, Mary Beth Timmer of the Zeeland Historical Society said there are about 30 tickets left.